Here at Martial Way Self-Defense Center we are focused and determined to serve our students with the highest quality instruction, professionalism, and service in the industry. To achieve our goal, we have implemented programs that cater to the individual interests of our community. Our students range from all ages with interests varying from stress-relieving and health-promoting exercises to intense and traditional martial arts training. All aspects of our school are arranged to build a balanced relationship of trust and respect with our students. We offer real self-defense and a great workout in a friendly and relaxed atmosphere in which anyone can feel comfortable. If you are ready to feel great, become disciplined, focused, confident, and alive, schedule a visit and come in and see us. Our doors are open. 1. Learn Practical and Effective Skills: We offer the most complete self-defense program available, as well as top-level training in the combat sports. Our self-defense system combines striking, kicking, trapping, grappling, and pressure point techniques with a street-wise tactical approach. In addition to their physical skills, our students learn mental and psychological strategies that anyone can use to deter most types of aggression. If all else fails, the physical techniques of our Kempo-Jujitsu system are not for sport, show, or philosophy–they are designed to get the job done as quickly and efficiently as possible. For those interested in Brazilian Jiu-Jitsu, Mixed Martial Arts for Self-Defense and other martial arts, we have the knowledge, experience, and training techniques needed to help you succeed at the highest level. 2. Promote Better Health: Martial arts training is known to be a superb form of exercise. At Martial Way, we combine the traditional training techniques of the martial arts with the cutting-edge methods of modern sports and fitness science. Our program is the ultimate blend of eastern and western knowledge that will get you into the best shape of your life. You will look better, feel better, and move better than you ever have before. 3. Improve Quality of Life: In this regard, our program surpasses any other type of sport, hobby, or physical activity. Martial arts can relieve stress, improve concentration, strengthen will power, and provide a motivating and empowering pastime for anyone, regardless of age or gender. The confidence, awareness, satisfaction, and positive attitude achieved through the practice of the martial arts will often cross over and improve every aspect of an individual's day-to-day life. 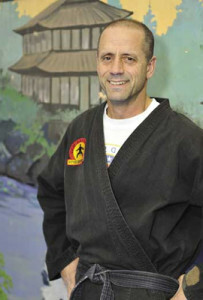 There has been a trend in recent years for martial arts schools to use the black belt as a marketing tool. Every student, regardless of age or ability, is told that they can and will earn a black belt. (Usually, they earn it primarily by paying a higher tuition.) This is not the case at Martial Way. We run a school that is inclusive of all ages and abilities, while still maintaining a high standard for our black belt rank. We value all of our students, and we take pride in teaching beginner classes that are truly “beginner-friendly.” Our students train in a safe, fun, and supportive environment. We believe that there is a place for everyone in the martial arts. However, there is not necessarily a black belt for everyone. Our classes are taught by certified black belt instructors, who care about their students and conduct themselves accordingly. They help students to learn and to improve themselves through positive support and encouragement, not through intimidation. Please feel free to ask your instructor any questions that will assist in your decision to make our studio your place to train. Come and join our family and remember…teaching and helping you is the reason we are here.